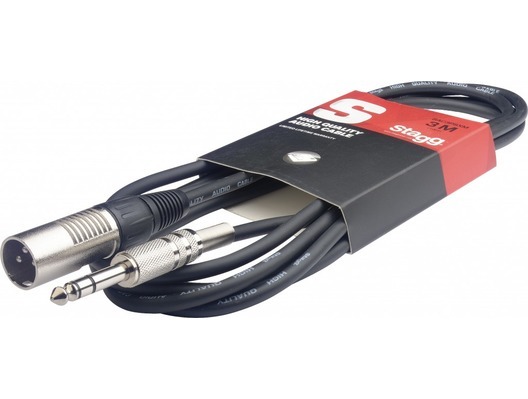 The Stagg SAC3PSXM/SAC6PSXM/SAC10PSXM are Male XLR to Stereo Jack balanced leads. Stagg cables are renowned for their durabilty and reliabilty and these Stagg cables are no different. Buy Stagg cables in confidence! This cable is ideal is for interfacing between jack outputs and XLR in sockets. Affordable quality product delivered very quickly. What moe could you ask for? Excellent quality at most competitive price I've found across online companies. I'm sure will last for long. just what was needed, well made.